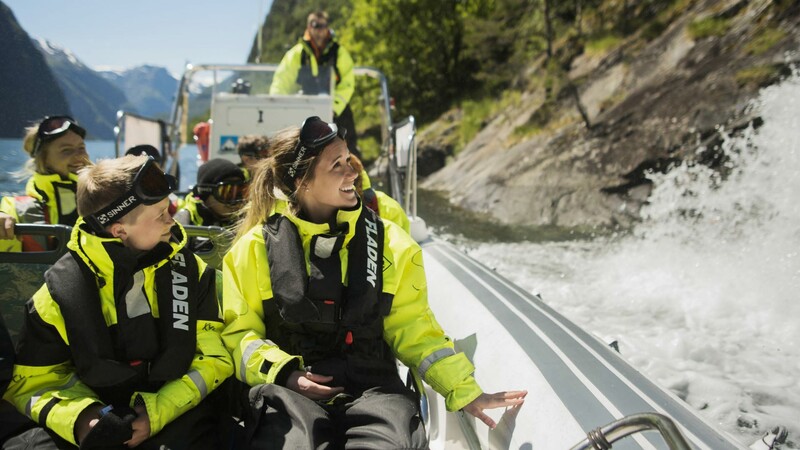 Enjoy the majesty of the nature in Western Norway from open RIBs as we take you on a guided tour of Aurlandsfjord and the World Heritage Nærøyfjord area. 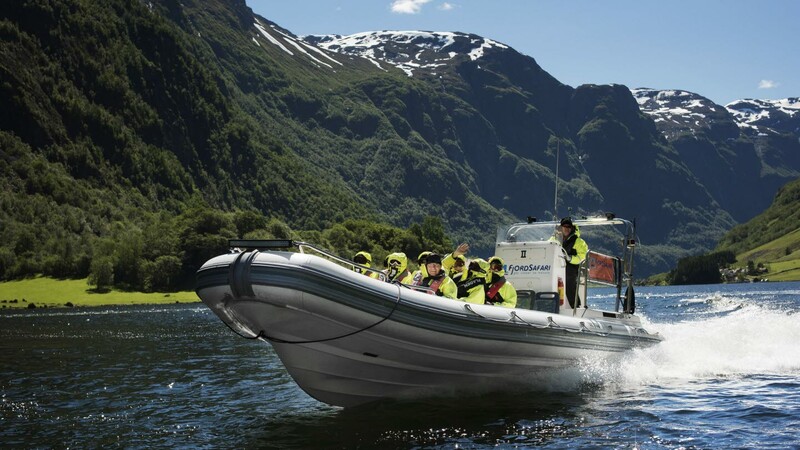 With a maximum of 12 guests per boat, you are guaranteed a personalised experience with our knowledgeable guides. 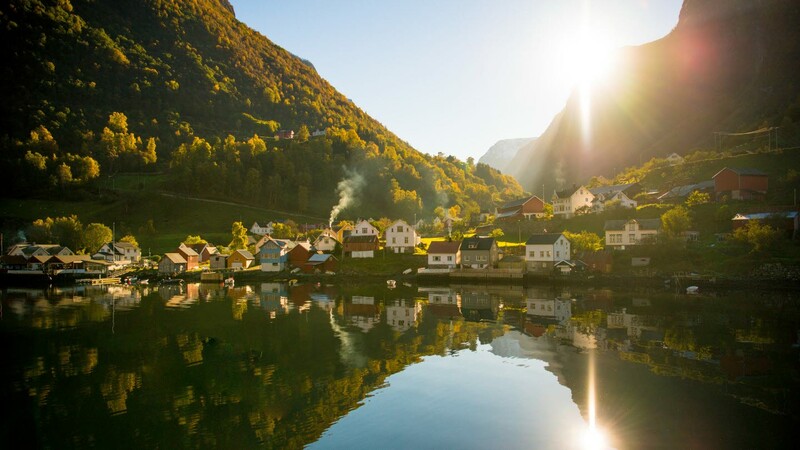 We will provide a unique insight into the settlements and activities along the fjord and your guide will recount local stories and legends from the area. 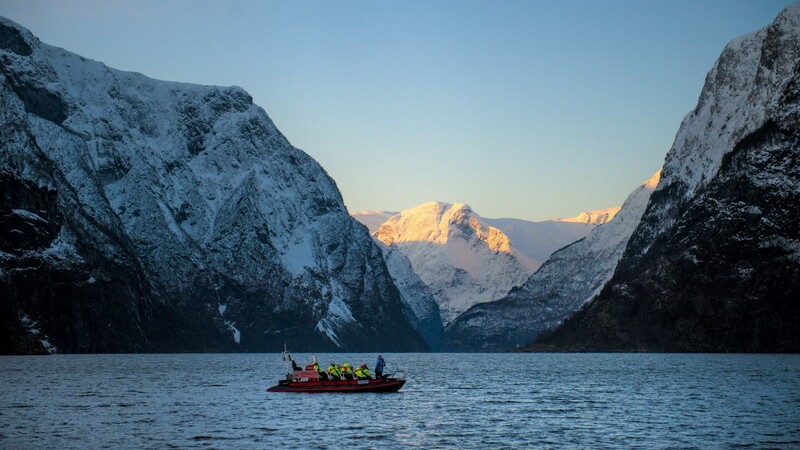 The fjord landscape teems with wildlife, and during the trip we will be searching for seals, porpoises and eagles. Combine our Winter Fjord Safari or Snowshoe Hike in the Aurland mountains with a Viking menu at the Ægir Brewpub in Flåm. We will provide you with all the necessary clothing that you don’t have yourself for free. You must dress for the season. Imagine driving in a car that is going at 60 km/h (40 mph) and sticking your hand out of the window for 2 hours. Even during the summer this can be a cold experience. We recommend that you wear warm clothing for all seasons, but especially during the winter. There is no age limit on our trips. However, we recommend that our winter visitors do not bring very small children on the trip, as they can get quite cold. Infants (0–4 years old) travel free on their parents’ lap and do not require a ticket. However, please add a comment (stating age) in your reservation if you are bringing an infant so we can ensure we have the correct clothing for boat trips or a car seat for land-based tours. Regarding clothing, we have a wide range from baby sizes to XXL sizes.